When God saw the sinful state of the nation of Israel, He knew it was because its leaders did not lead in a godly way. It would be tempting for the priests to blame the people, but it was the fault of the spiritual leadership (priests) and political leadership (house of Israel). As Philippians 3:18 says, when our heart is set on earthly things, we walk as enemies of the cross. We can never forget that we are in this world, but we are not from this world. Our citizenship is in heaven, and we have to live that truth every day of our lives. “In their distress they will earnestly seek Me.” The goal of God’s judgment against Israel was not destruction, but restoration. Sadly, it is often only in our affliction that we earnestly seek the LORD. 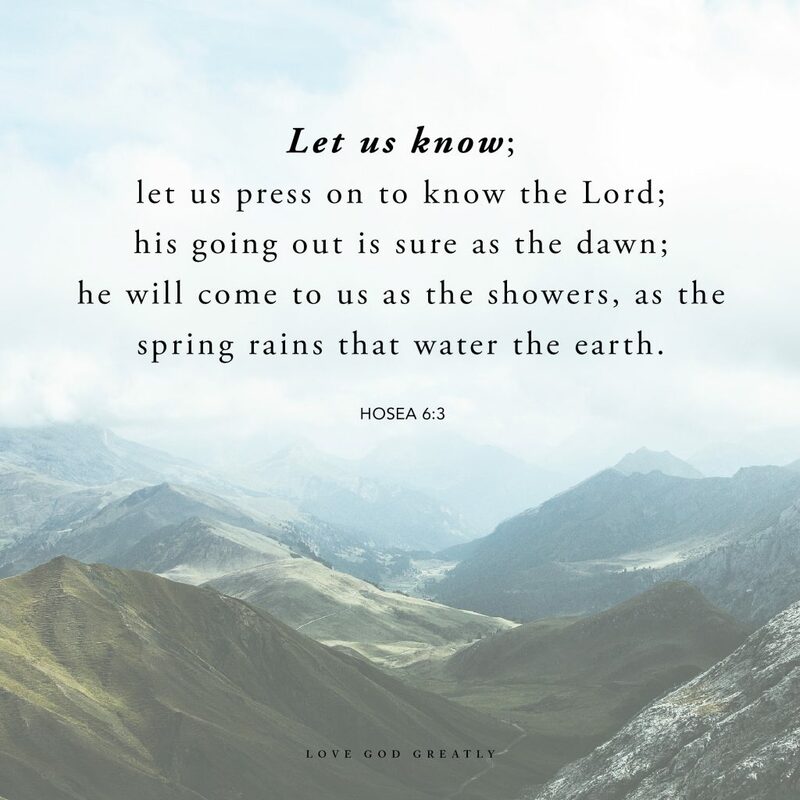 Why not seek the LORD now? Isn´t it better to look for God in the good times and not to wait until we are going through hard seasons? Heavenly Father, help me set my mind on You. Help me remember that I´m a citizen of heaven and that I have to live my life according to that truth. I don´t want to invest my life in earthly things but in You. Amen. 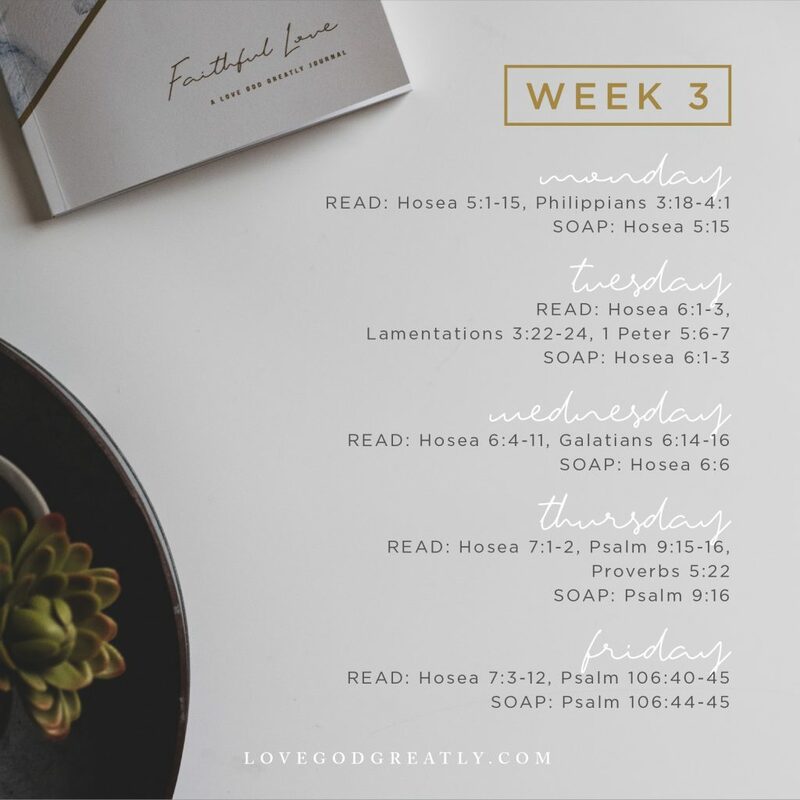 Week 2 Challenge: This week, set a timer for five minutes each morning to spend time seeking God in everything you have on your to do list and agenda. 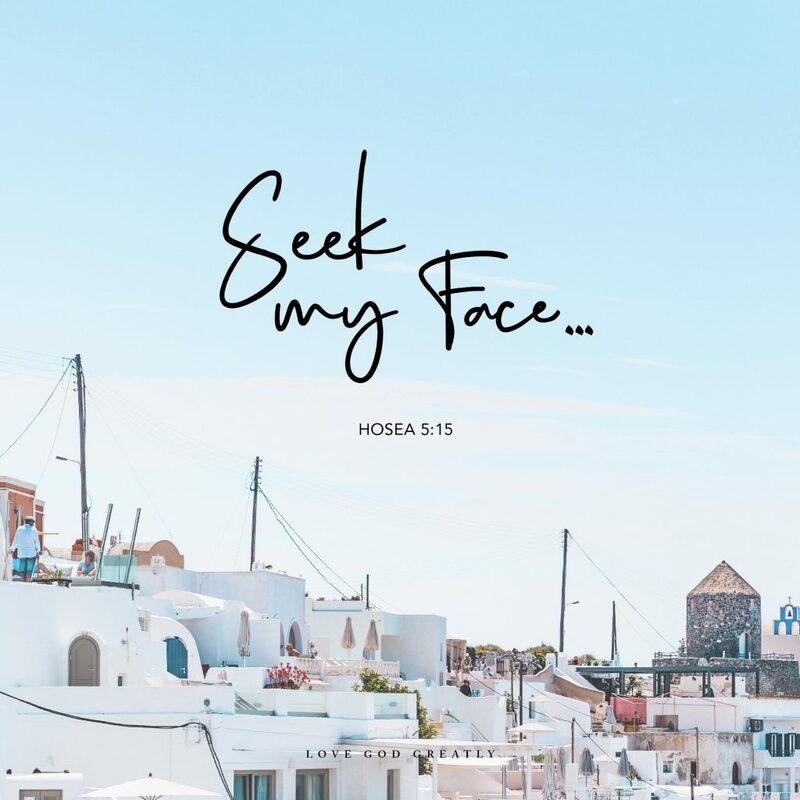 Make a note of any Bible verses that come to mind during your time with God that you can look at each day to remind you to seek His face in all you do. 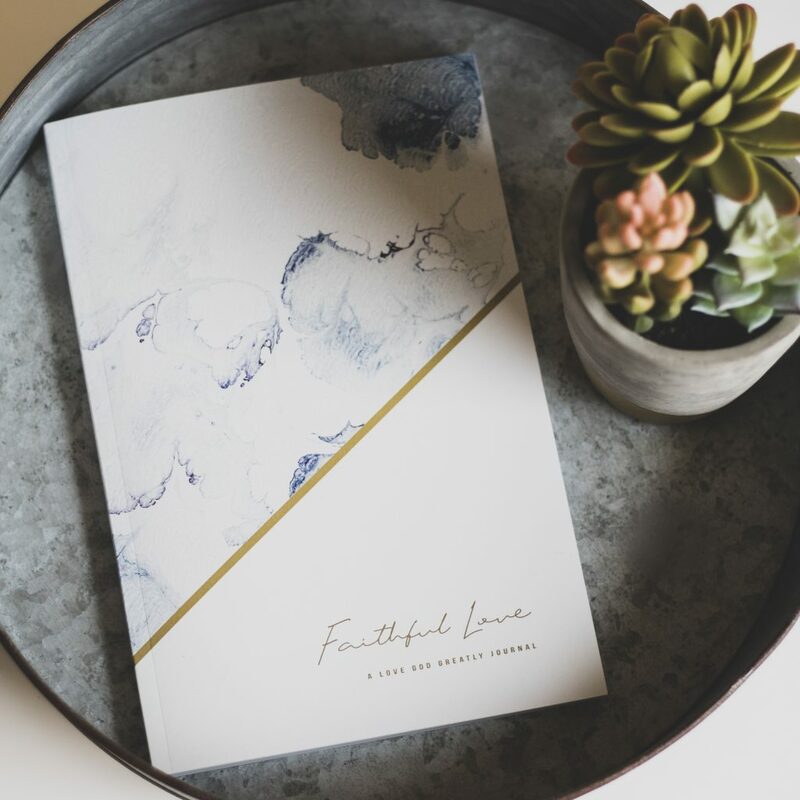 Did you know when you purchase a Love God Greatly journal, you are helping to give God’s Word away in over 20 languages and change the world…one journal purchase at a time? THANK YOU for supporting our ministry and joining us as we break down financial and language barriers so more women around the world can have access to God’s truth in their native languages! You can grab your copy in our Love God Greatly store! Hi and welcome to LGG! I’m so glad you’re here! Love God Greatly exists to inspire, encourage and equip women all over the world to get into God’s Word through our online community. LGG has multiple online Bible studies and resources created with YOU in mind! So grab some friends and join us or journey with us solo…..either way you are welcome here! Sign up below to stay up to date on all of our studies! Thanks! Make sure you like our Facebook / Instagram / Pinterest pages - and let us know if you'd like to get involved with sharing God's Word with women globally!